it’s going to be just fine, you’re only out of time. 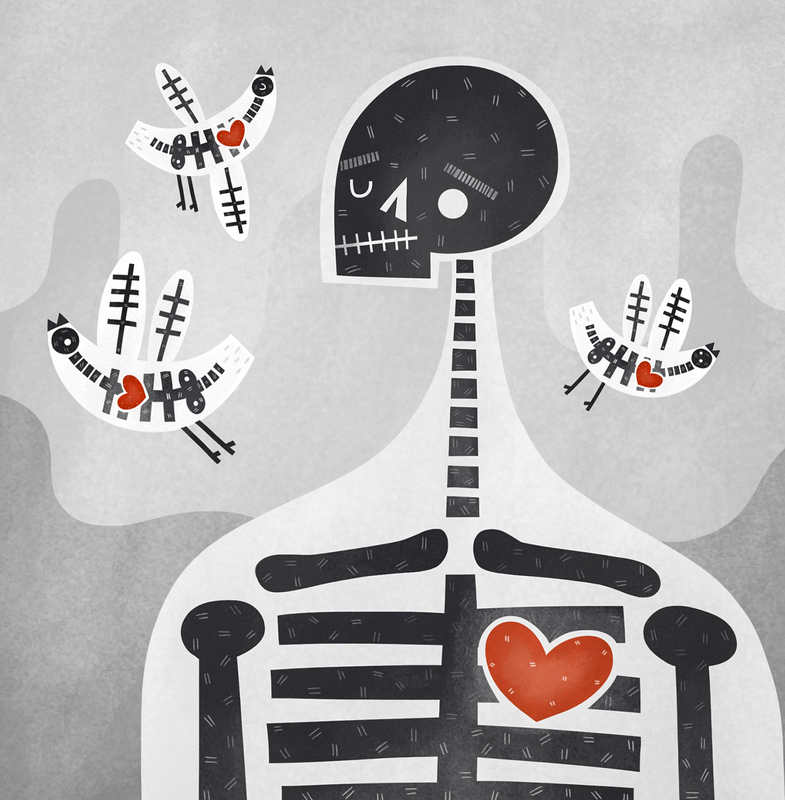 This entry was posted in illustration and tagged birds, heart, illustration, skeleton by sarahgoodreau. Bookmark the permalink. I love this one. It might be my favorite piece by you. I love this one, makes me pause and think…. Sometimes when I am touching my children’s chests, the grandiosity hits me… there is a tiny heart in there beating… giving them life. It almost puts a pit in my stomach.. so much love from those tiny beating hearts. And we all have one. Loving this! Check out our and give me any tips on making posts better quality and gaining some subscribers. The site is very new and very under construction.